Happy Halloween to you all! Regulars to Brain Damage over many years will know that our friend Joe Ringus is a hugely talented pumpkin artist, and each year crafts a Pink Floyd themed pumpkin for Halloween (which is celebrated by many, principally this evening, but in a number of places it covers a number of days). Those regulars will no doubt be as keen as we have been to see if Joe would be continuing the tradition this year, and if so, what design would be picked. The great news is that Joe has been hard at work yet again, and has done a phenomenal job once again! We're delighted to share his incredible carving with you. Joe said: "Happy Halloween! 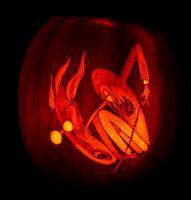 Here's this year's pumpkin. Looking back over the years, there is definitely more from The Wall than any other album - and probably for good reason - it has the most content (and they make great pumpkin designs). Hope you enjoy!" Thanks Joe - we think you've done another excellent job! It's a great tradition and we know many of our visitors love to see them. 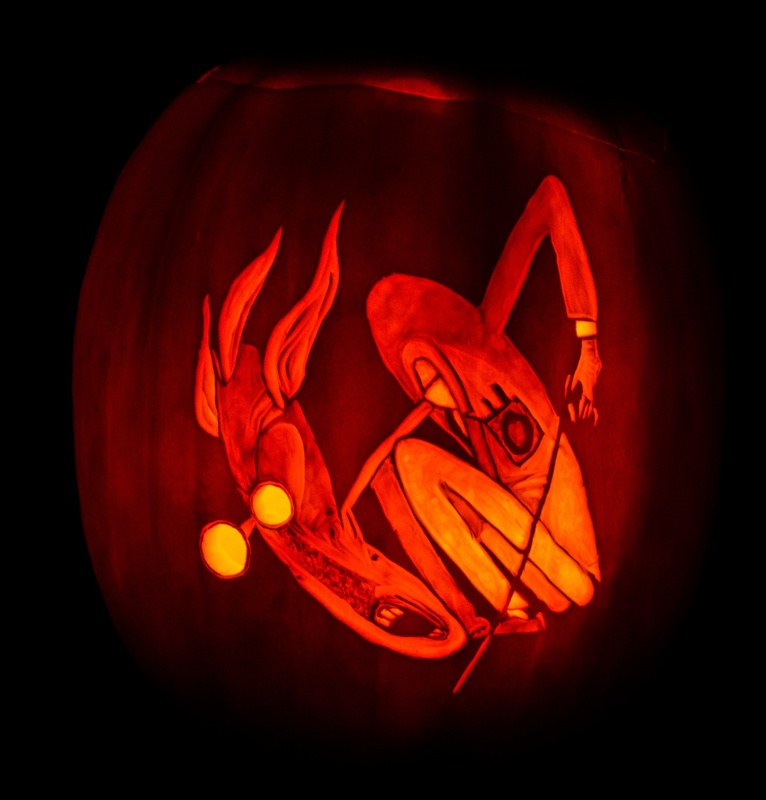 If there are any other pumpkin artists out there who have created Floyd designs, we'd love to see them. In the meantime, it is worth clicking the thumbnail to the right to see Joe's hard, and careful, work in more detail.